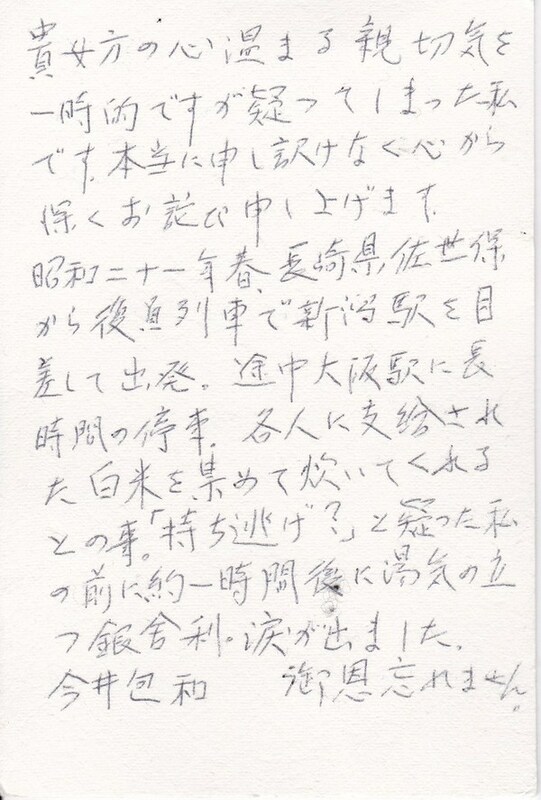 Imai Kanekazu, a 98-year-old man from Niigata, wrote the message he failed to say 70 years ago, and sent his postcard to “Hagaki De Gomen-nasai” (Say sorry by postcard) festival in Nankoku City, Kochi. 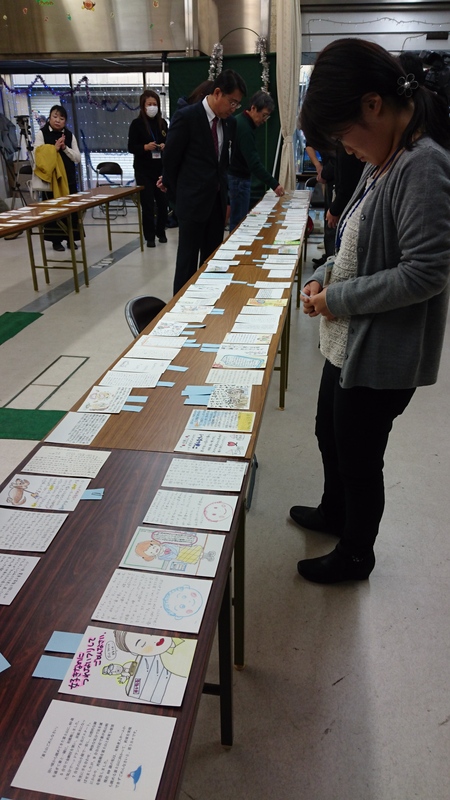 For the past 12 years, Nankoku City has held this unique event in which people apologize by postcard. This event was inspired by a pun. Nankoku City incorporates a unique town, whose name sounds like an apology to someone. It is 後免町 (Gomen-machi -‘machi’ means town in Japanese). Gomen-machi’s history started over than 350 years ago, in the middle of Edo period. 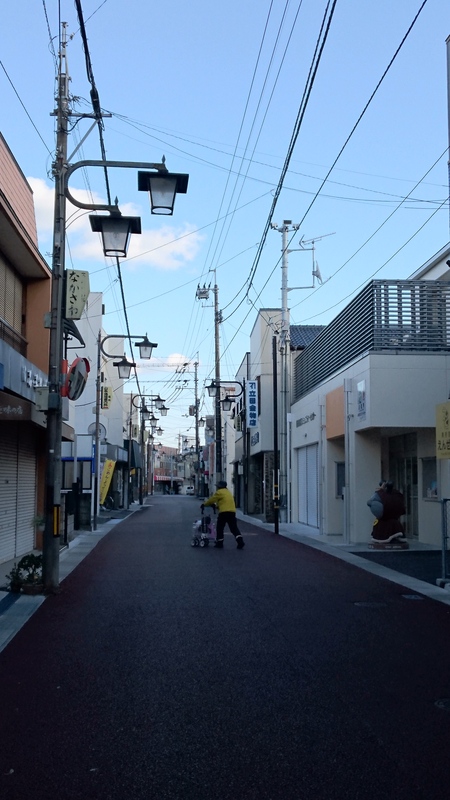 One government official named Nonaka Kenzan made a tax-exempt city in present Nankoku City to grow its local economy. And he named the city as 御免(Gomen), which means ‘being exempted’. During the 350 years, its Chinese Characters has changed to 後免, but its pronunciation remained. And by chance, this ‘後免(Gomen)’ is the same pronunciation of Japanese apology ‘ごめん(Gomen)’ which is used among friends and family members. The local joke is the streetcars run from Gomen-machi while saying ‘Gomen (Sorry)’ to a town called Ino, a homophone for ‘It’s OK’. This Gomen-machi is very famous throughout Japan not only for its unique name, but also as a hometown of one famous picture book author, Yanase Takashi. His most famous work is “Anpanman”. Once he returned to his hometown of Gomen-machi, he felt very lonely because most of the local shopping arcades were closed. He wanted to make his hometown bright again. So, he proposed to advertise Gomen-machi by using its unique name. 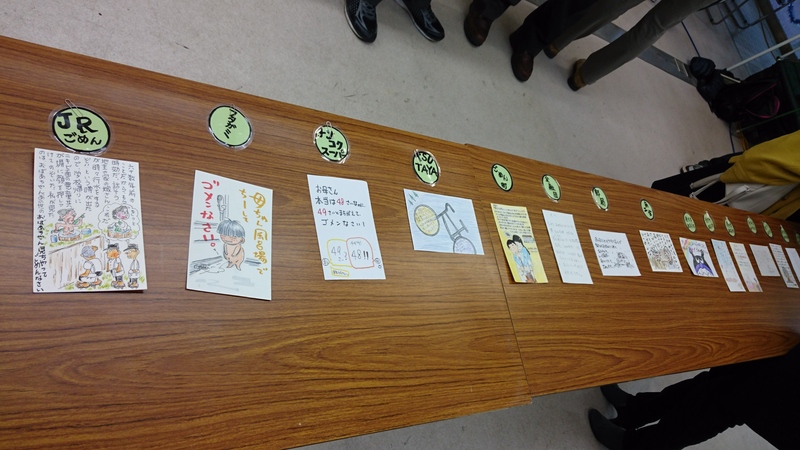 Nankoku City Officers heard Mr. Yanase’s suggestion, and started to collect apologies from their local elementary school students. During 12 years, this contest grew up a national level contest and named “Hagaki De Gomen-nasai”. 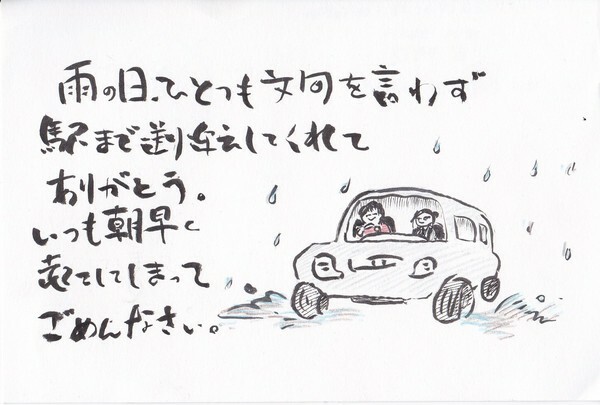 These days, more than 1000 people send their messages from all over Japan every year. 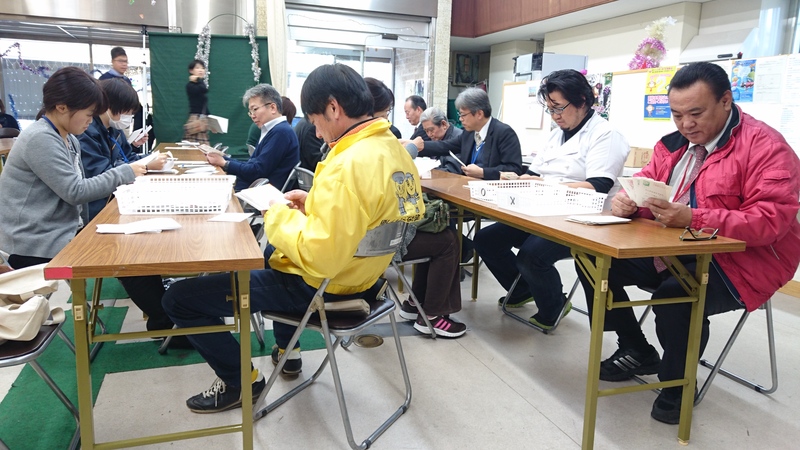 On January 12th 2016, the executive committee members and 11 local company leaders gathered at the local community center, Yotteko Hiroba, and held the examination. 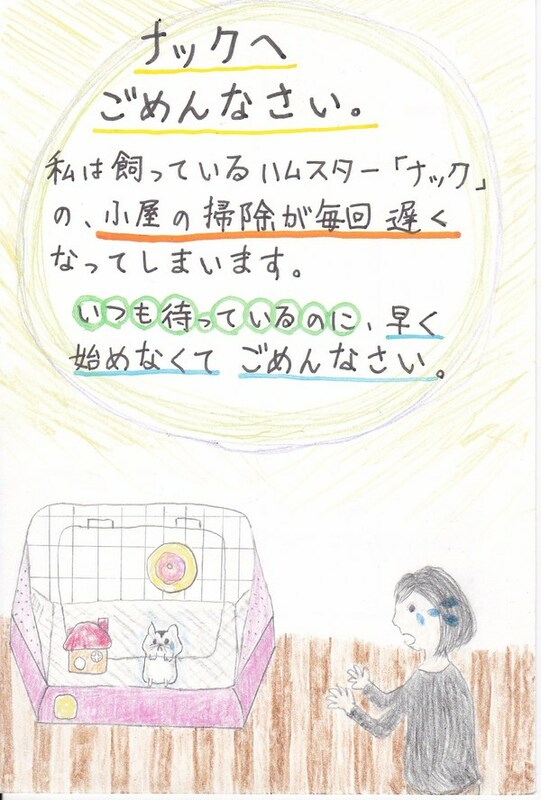 This year, 1083 postcards were collected from all over Japan. 60 percent of them were from students from elementary to high school, and the other 40 percent were from adults. 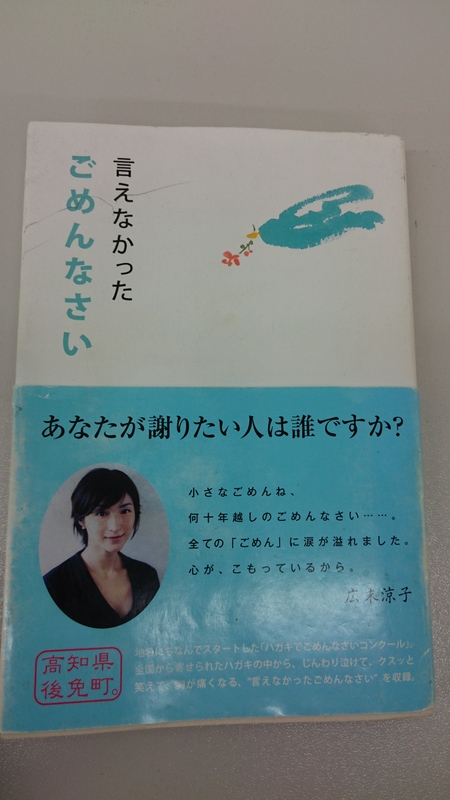 This year, the best prize was given to Mr. Imai who wrote his demobilization train memory. His postcard was filled up only his handwriting messages and it looked very simple at first glance. But his story attracted many examiners. Nankoku City Mayor commented that, “His message told us very valuable history.” at the examination. This is really nice and interesting event. I want to join it someday! This one gave me another knowledge of Japanese culture–not only seasons greetings and new years postcards, apologies through the postcard is very unusual thing! Especially, as me staying for a long time in Japan. Surely Kochi is very unique, and there are still many of hidden places and cultures that still not known by public, but this one is great. I laughed at the joke “Gomen—Ino”. I think the reception is so good that people can have a chance to tell someone what they have failed to tell them or something difficult to say face to face. I think this article is very interesting because “Hagaki De Gomen-nasai” is unique event that is using effectively the city name. There are people who cannot say what someone wants to really apologize. I think this event is a chance to say it, and we can sympathize with it. If I join this event, I want to apologize to my parents. I have never heard this contest. I think it is unique idea and it is amazing that this contest is expanded all over the Japan. The idea is good and heart-warming contest because this contest give us the chance for apologize that couldn’t do ever. At first, when I saw the name of “Gomen machi”, I was curious that the name of machi is “Gomen”. But through this article, I could know about the history of “Gomen machi”. Also, I’ve never known about this event while I’m in Kochi. After I read this article, I’d like to participate this event! Thank you for these good new information!